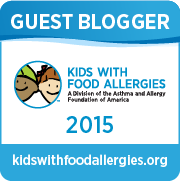 Mamacado: Disney Kids Preschool Playdate: Food Allergy Friendly! 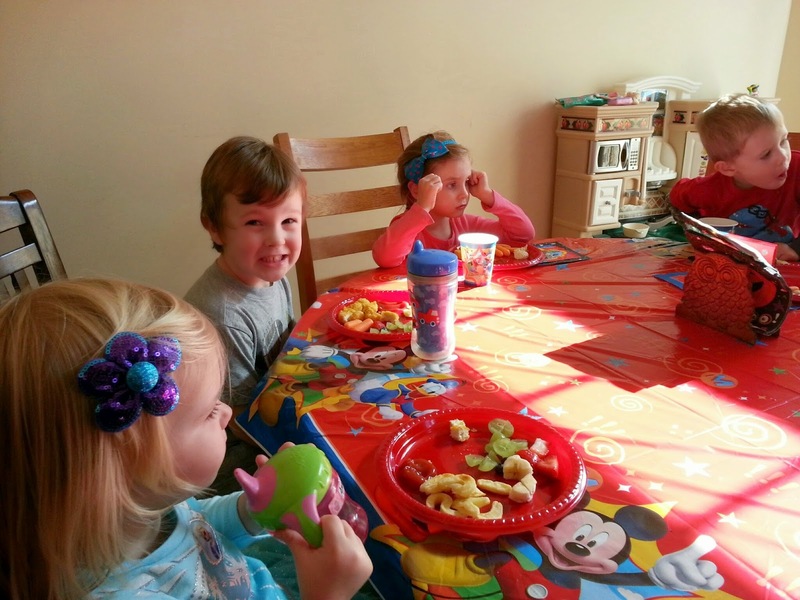 Disney Kids Preschool Playdate: Food Allergy Friendly! 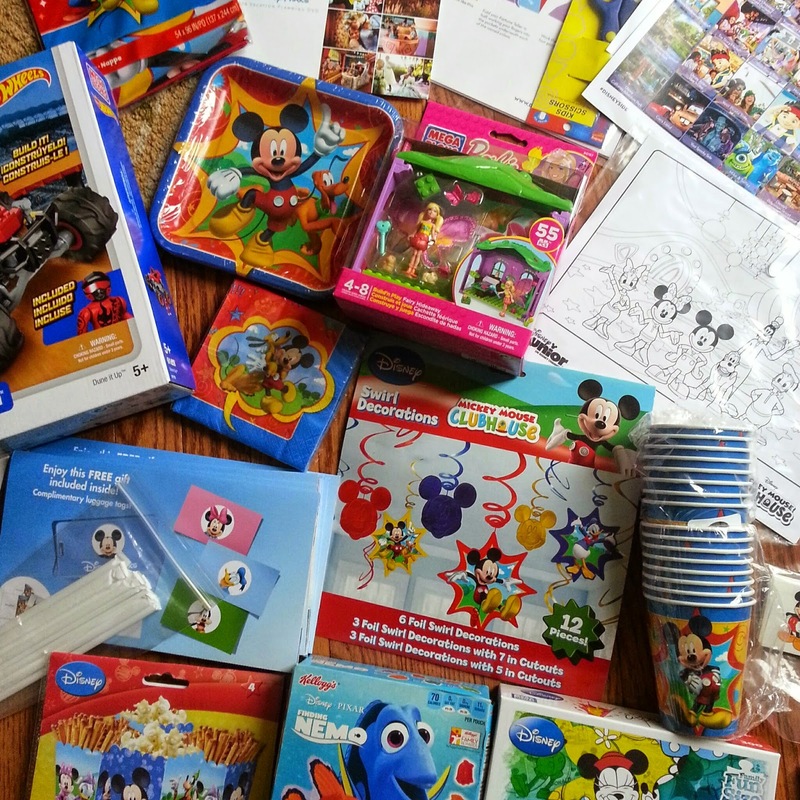 I received a celebration kit from Walt Disney World Resort and MomSelect in order to host a Disney Kids Preschool Playdate. Of course, all opinions are my own. This post also includes affiliate links. 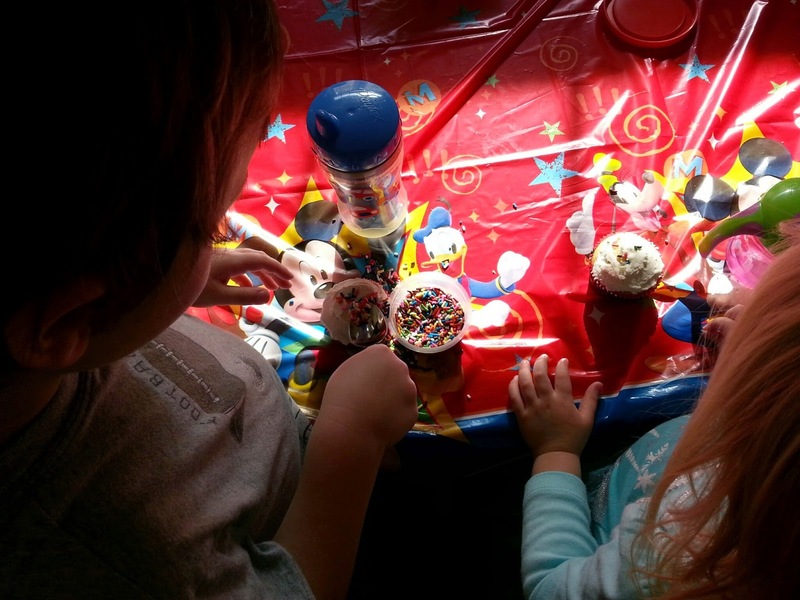 I had a fun opportunity to host a Disney Kids Preschool Playdate this weekend as a part of Disney Social Media Moms. It was such a fun surprise to receive this celebration kit in the mail and brainstorm all the ways we could use it for our playdate! 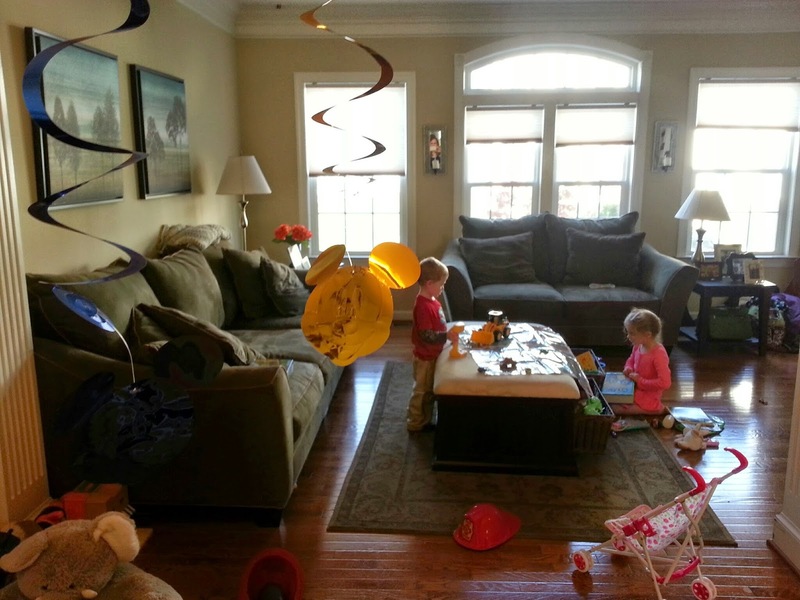 What makes an especially fun playdate? Decorations like these colorful foil mickey-themed ones. 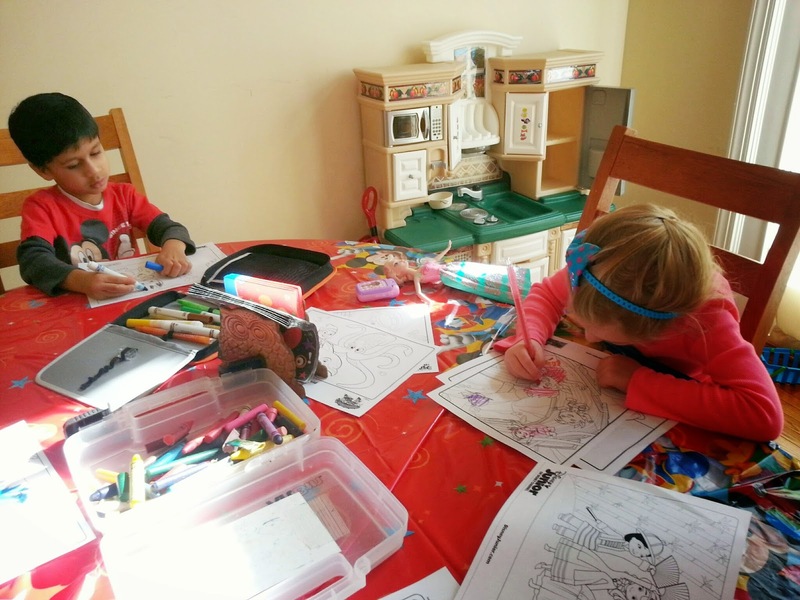 Fun activities like these Disney themed coloring pages. 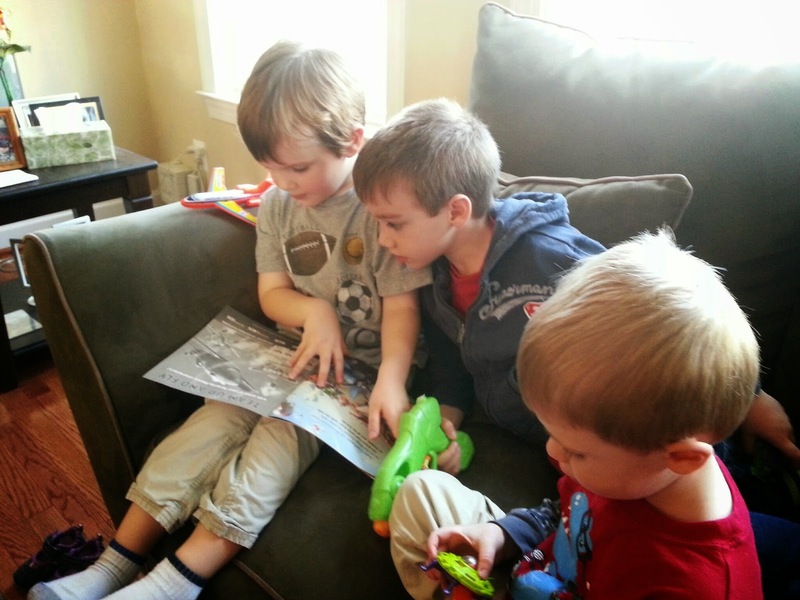 Reading Disney books like Planes. Mommies getting a chance to chat. Oh, and of course, playing with TOYS. Lots and lots of TOYS. And what about the food!? 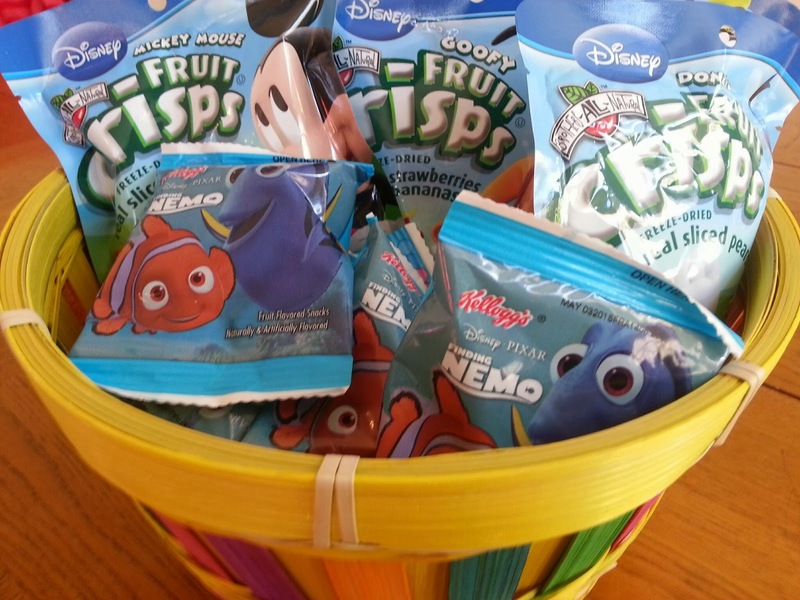 Fun snacks like these Nemo fruit snacks were provided in the celebration kit. These were safe for Little Guy. However, there were also granola bars and crackers that weren't safe for him. 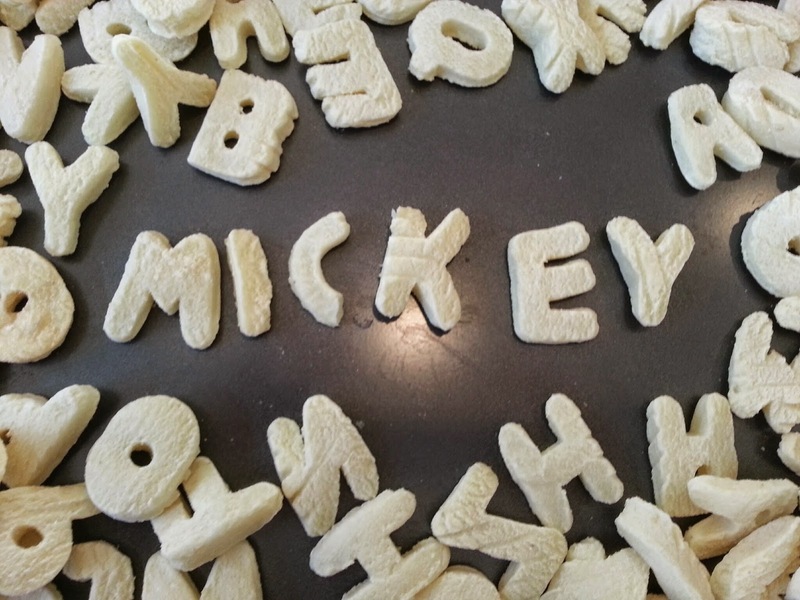 So, I provided different Disney themed food allergy friendly snacks at our playdate instead. Little Guy loves these Fruit Crisps. The Nemo fruit snacks were fun too! 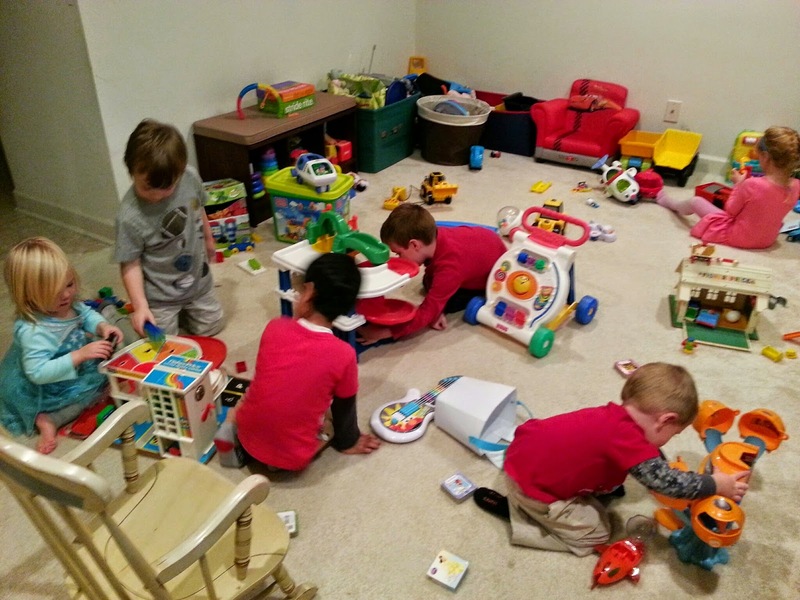 I also decided to make it more of a lunch since I hardly host playdates, and it was time for a little party! We of course had a food allergy friendly meal since Little Guy and another friend have food allergies. 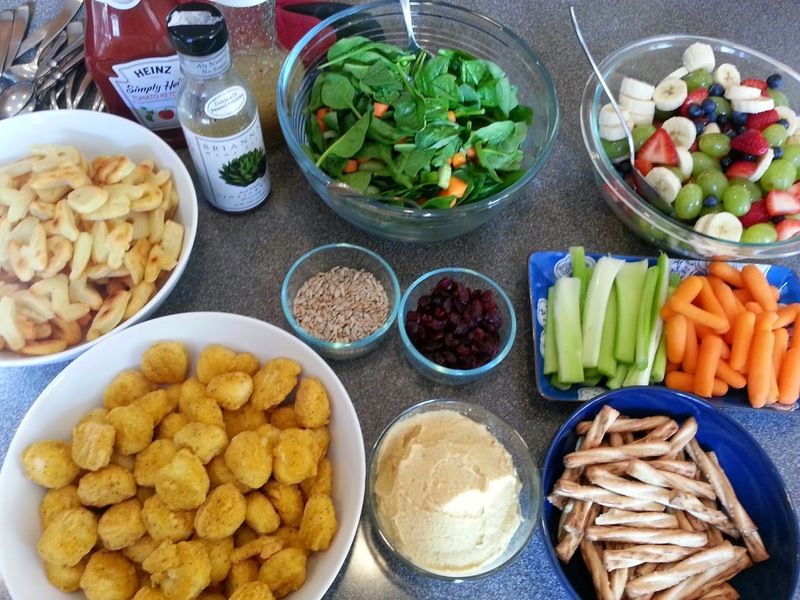 We had chicken nuggets, Ians Natural Foods Alphatots , fruit salad, green salad, veggies and homemade hummus, and Pacific "Creamy" Butternut Squash Soup (not pictured). Everyone enjoyed their meal, but of course saved room for dessert. We also decorated cupcakes. 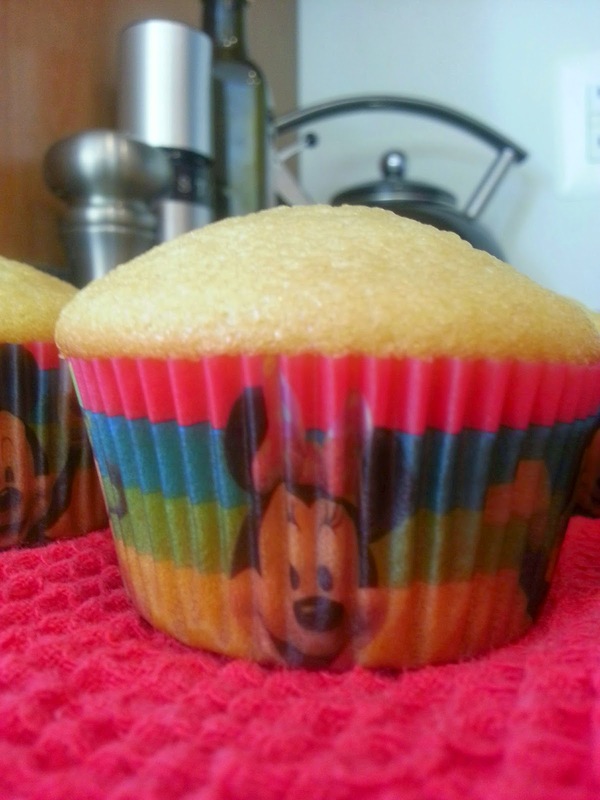 Just look at these cute Mickey and Minnie mouse cupcake wrappers. I provided Enjoy Life Dark Chocolate Chips and Enjoy Life Chocolate Mini Chips along with a variety of colored sprinkles. 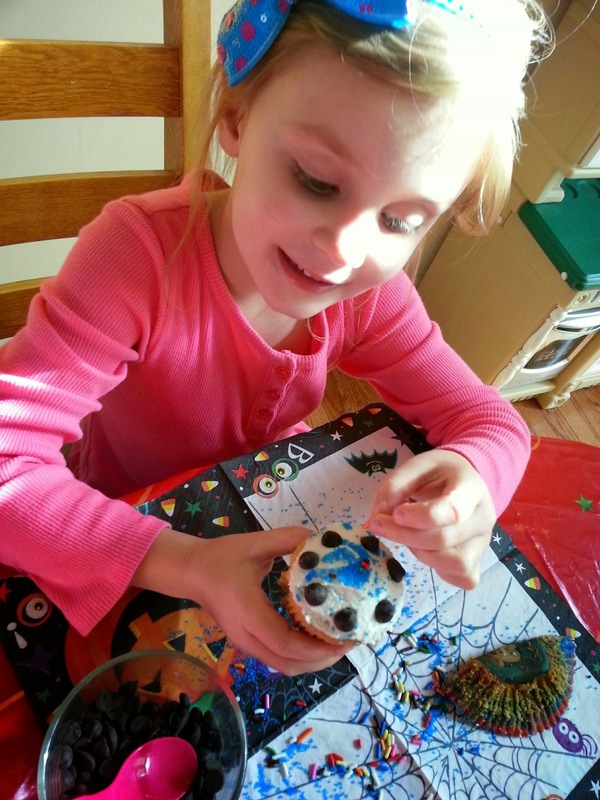 The kiddos had a fun time decorating their cupcakes. And of course eating them too! 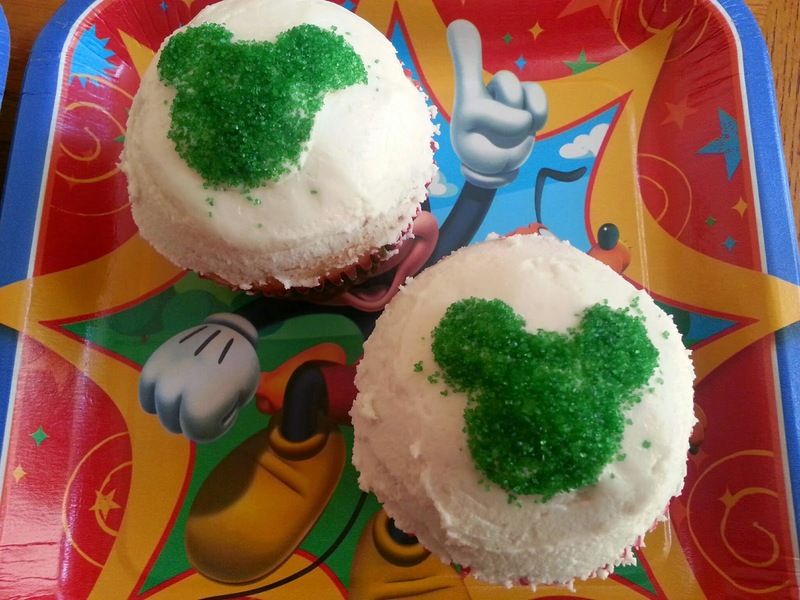 I also tried out my hand at decorating cupcakes Mickey Mouse style. 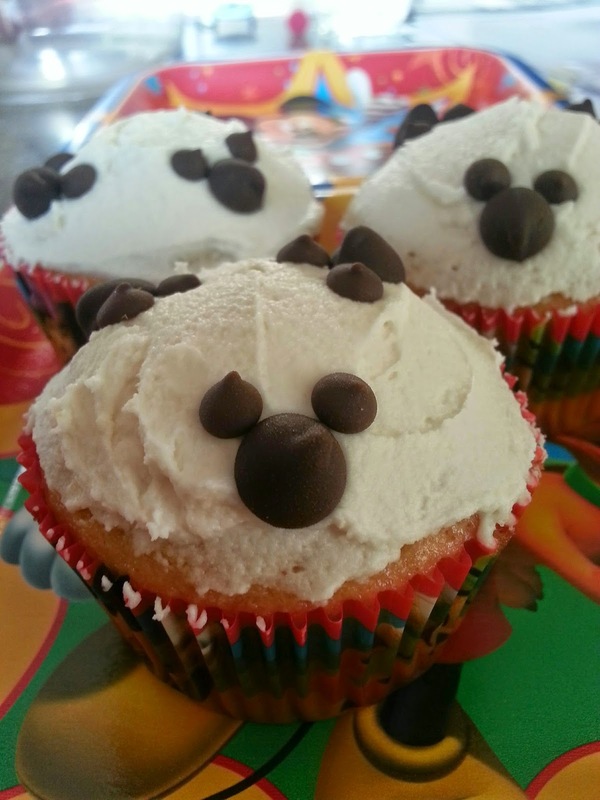 There are LOTS of Mickey Mouse cupcake ideas on Pinterest which were either too time consuming or not allergy-friendly. 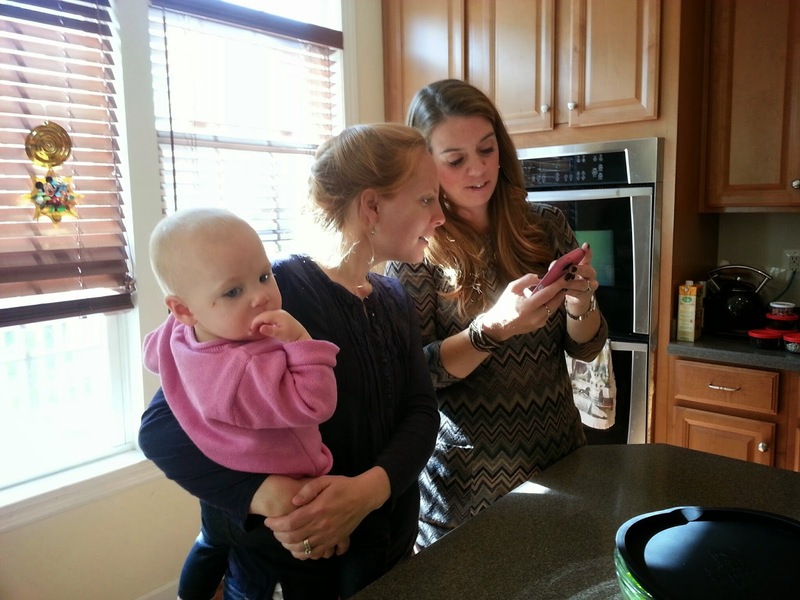 So, what's a busy mama to do? Improvise!! I used the Enjoy Life Dark Chocolate Chips as Mickey's face and the Enjoy Life Chocolate Mini Chips as his ears on these cupcakes. Pretty cute, right? Then I used my wax paper and sprinkles method (no cookie cutter needed) for these cupcakes. It took about 2 times of trial and error, but it finally worked out! 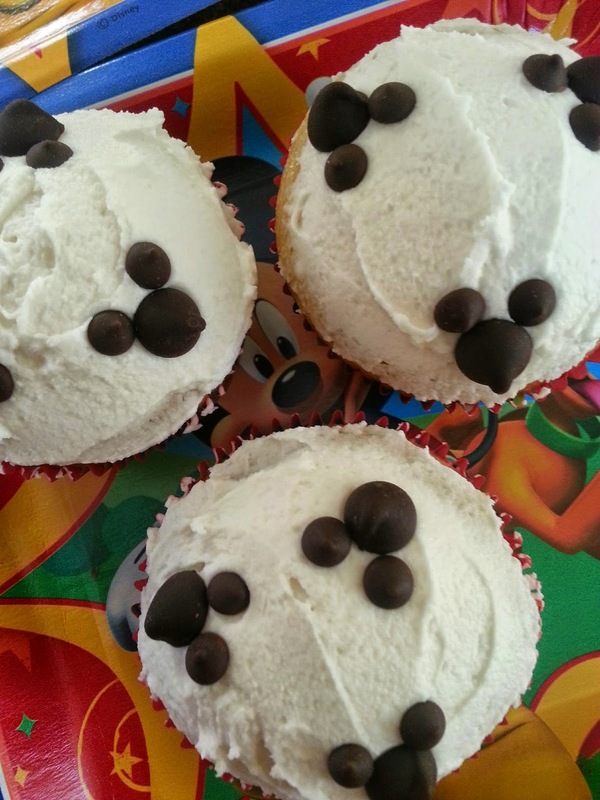 Everyone raved about these vegan cupcakes and homemade icing that is food allergy friendly. I'll write a separate post about the recipes I used for these tasty cupcakes! Oh boy did we have fun! This post is really a good illustration of why I blog. Mamacado has opened up a number of fun opportunities for our family. From meeting new people, to going on fun family excursions, to getting together with old and new friends. It also offers a way to feature the bright side of life and show others how we try to live positively with food allergies. Thanks to Walt Disney World Resort and MomSelect for the fun celebration kit. It inspired a great day of food, friends and fun! Thanks Diane - we definitely had a great time!